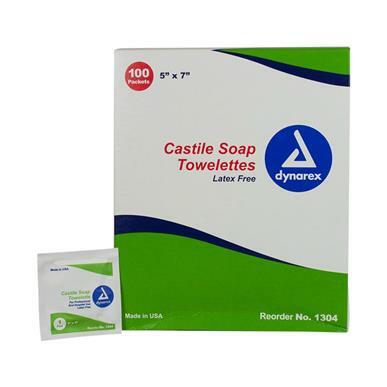 Castile Soap Towelettes are for general wash-up, come in a convenient pop-up canister and each towelette measures 5 x 7. A mild, gentile, detergent cleanser with 20% alcohol content. 100 towelettes per box, sold by the box.